August 2017 saw the Shuttleworth Collection’s Edwardian Pageant return. 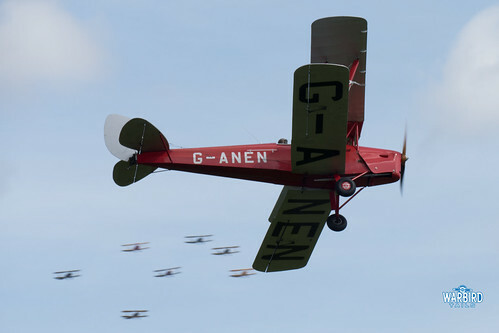 After last years show was heavily effected by high winds this years show was highly anticipated with plenty of rare early aircraft, including an impressive WW1 line up and of course a chance to see the Edwardians in the sky. 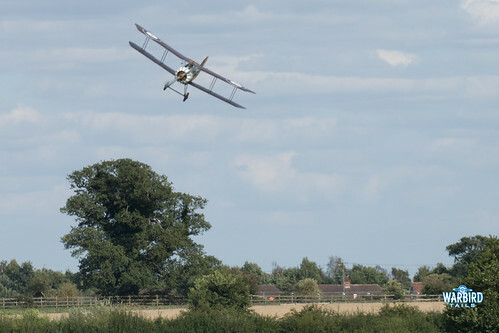 While conditions were considerably better than last year, winds were still too high to allow the Edwardians to fly. The Edwardian era was still well represented however, with many visitors making the effort to dress in period costumes, accompanied by a wide range of vehicles from the era. 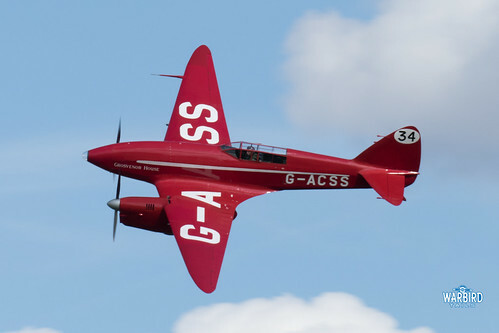 As always with Shuttleworth show there was just as much of a show on the ground as in the air! This was another display that looked to focus on the Sopwith family of aircraft. The evening show two weeks prior looked to have a quartet of Sopwiths and this show promised the same, with the added bonus of the collection’s Camel returning to the static line up following engine work. 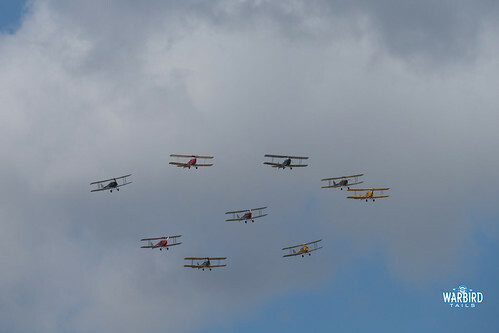 The sight of 5 Sopwith fighters lined up on the field in the afternoon was truly special. 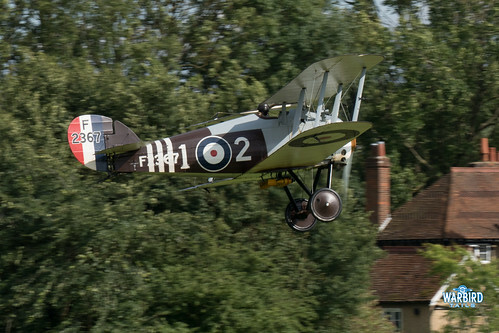 Unfortunately conditions prevented two of the Sopwith Scouts, the Pup and the Triplane, from getting into the air. 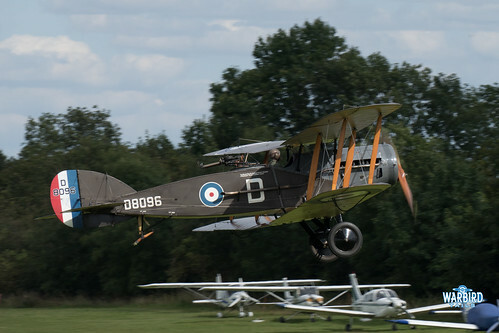 Fortunately conditions were more agreeable for the earlier Sopwith slot in the display, allowing the two rarer examples in the line up to fly. After a failed attempt at the evening show this show saw the Sopwith Dove leap into the air for a graceful routine in the hands of Stewart Luck. The Dove is a wonderful replica and seen all too rarely at Collection shows. 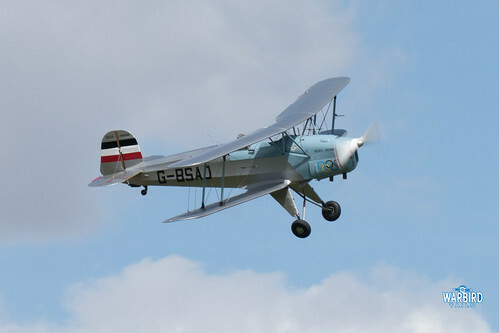 The aircraft is now for sale, hopefully any new buyer chooses to keep the aircraft at Old Warden. 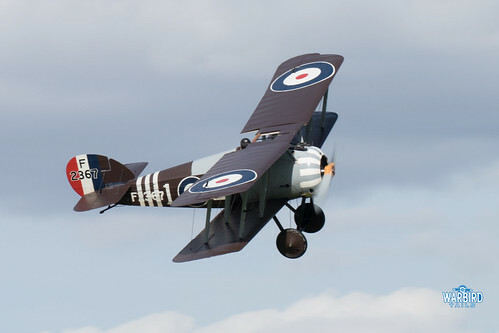 The second Sopwith to fly was the incredible Snipe. Since moving to Stow Maries in 2015 this was the first flying appearance of the Snipe at Old Warden. Jean Munn, the collection’s chief engineer delivered his by now trademark solo display in the ultimate Sopwith with flowing low level figures and that fantastic purr of the Bentley engine. This would serve as the Snipe’s final appearance in the UK as the aircraft has now returned to New Zealand. This memorable routine certainly made for a fitting farewell for one of the real highlights of the last few years. 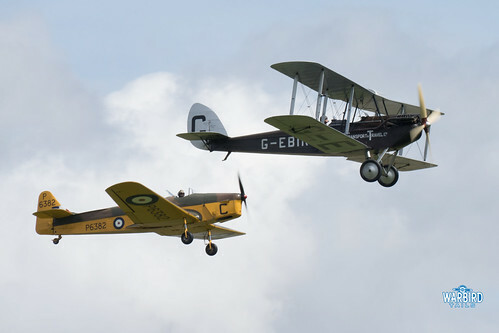 Ahead of the Snipe’s solo performance it took part in a three aircraft tail chase with the Collection’s SE5a and Bristol F2b, which made for a wonderful sequence. 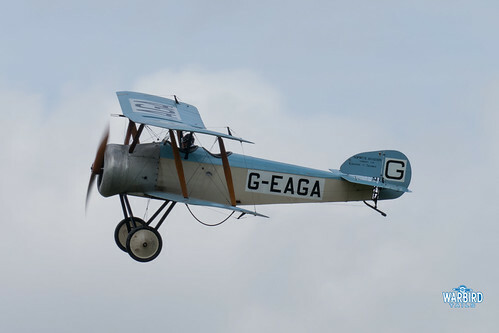 Jean Munn flew again later in the show in the WW1 Aviation Heritage Trust’s BE2e. 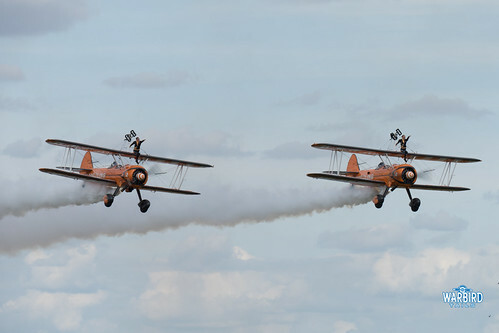 The plan was for a pairs routine of BE2s but problems starting the second example meant that a very spritely (for a BE2!) solo performance was flown instead. 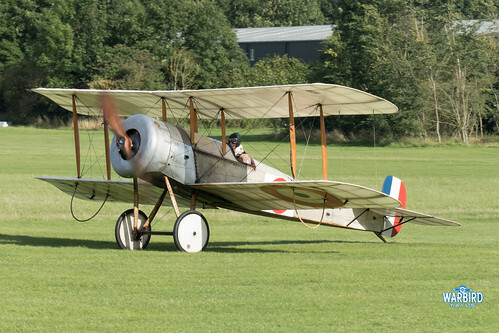 As always, David Bremner’s display in the Bristol Scout really was a magic few minutes. 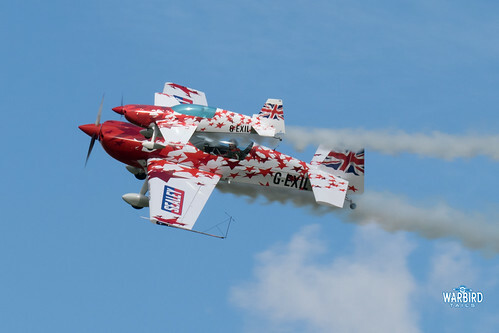 The story that comes with this fantastic aircraft, combined with the spirited display and clearly improved performance always provides a highlight in any show. 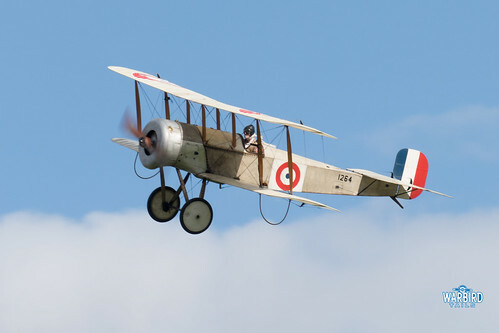 Alongside the WW1 aircraft, which played a key part in the show, there were a variety of vintage airshow acts that hark back to those early days of flight and airshows. Peter Davies opened up the flying with his Calidus Auto-Gyro, certainly a routine that always works very well at small venues such as Old Warden. The Little and Large Extra duo also provided another great family act in amongst the vintage. It was nice to see a few vintage aerobatic displays in the line-up, something not too often seen at Old Warden. 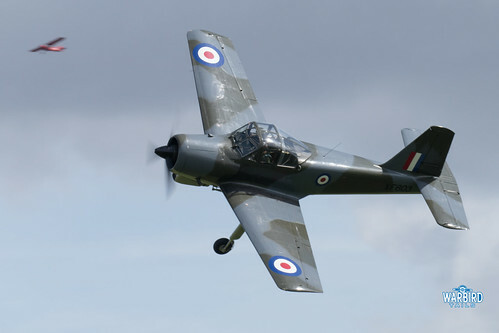 Collection performances came from the Chipmunk and the Piston Provost, . The Chipmunk displayed above a memorable formation of Avro Tutor, Miles Magister and the rarely seen DH51. Visiting aerobatics started with a great chance to see Anna Walker’s Jungman display at close quarters and a very memorable outing from the Breitling Wingwalkers who had a huge impact in the confines of Old Warden. Alongside a welcome return from the elegant DH51 there was a huge variety of de Havilland types. The DH88 Comet joined the Dragonfly and Dragon Rapide for a fighter-sweep like opening pass before each aircraft entered into solos. Watching these three iconic de Havilland twins was a real treat. The other big de Havilland tribe came from the wonderful Tiger 9 who never fail to put a smile on your face and must rank up there as best guest commentator! The main attraction of the day was the show closing performance of the Royal Air Force Red Arrows, who delivered their usual trademark display of close formation aerobatics and dynamic manoeuvres. For many at Old Warden, I’m sure the real finale from their point of view will have been the classic pairing of Percival Mew Gull and DH88 Comet. The latter was performing for the second time of the day and delivered another extended solo slot ahead of the Red Arrows arrival. This slot had originally been kept aside for the Edwardian aircraft but gusting conditions ended any hopes of that. It’s safe to say that watching the Comet and Mew Gull wheel around the summer sky didn’t feel like too much of a let down! All in all the Collection got slightly luckier with the weather this year than in 2016. Most of the planned WW1 line up was able to get into the air and there was a really unique line up of visiting acts that fitted perfectly with the theme and the venue. 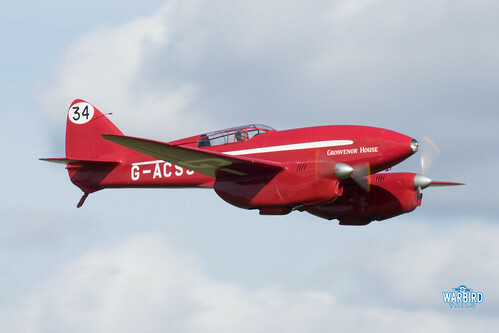 The Shuttleworth Collection proved once again that while big acts such as the Red Arrows bring people in it is the vintage acts that are the heart and soul of Old Warden. hopefully with the Reds being on last it will have led to many new visitors experiencing the full magic of an Old Warden show.